It’s been way too long since the last post, so wanted to give everyone an update on the project, and where things are going. First, despite not having a lot of updates on the blog :), I am amazed at the usage growth in OpenPCRs. I think things have gotten to the point where many people are encountering OpenPCRs in other peoples’ labs, hearing that they work, and then wanting their own. I am also extremely pleased that it is increasingly used in education. For example, Arizona State University used 16 OpenPCRs in a Biomedical Engineering class, where students used them in conjunction with a fluorimeter to amplify and detect DNA. Even better, each group of students then designed and documented their ideas for improvements in the OpenPCR. It was great seeing the open source/kit nature of the OpenPCR being integrated into the class, rather than having a thermalcycler be simply a black box. One thing we have learned over the course of the OpenPCR project is that despite many of their great attributes, open source projects are not necessarily the best way to manufacture and deliver physical products, and in days past kit orders were plagued with production delays. 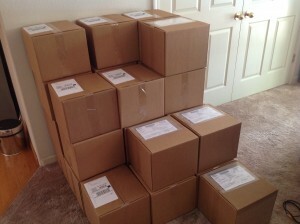 So I am pleased that Chai has taken on the physical manufacturing and distribution of kits. This has resulted in simple improvements, such as consistent shipping within 1 business day, cheaper international shipping with faster customs clearance (about 50% of OpenPCRs ship internationally), and more reliable sourcing of components. While these details are certainly unglamorous, they are truly important in getting more OpenPCRs into the wild, and thus more users of this project. Chai will also help sponsor and fund further work on the OpenPCR project. So with the original design complete and kits being delivered, what is the future of the project? Certainly improved version(s) of the machine can be made, and this is likely to happen. But I’d also like for the OpenPCR project to be not just about PCR machine kits, but to more generally be about openness in PCR, including for example protocols, reagents, and open source analysis software. Look for more developments here in the months to come. This entry was posted in Other on August 20, 2013 by Josh Perfetto. With these delays behind us, we’re now able to concentrate on improving OpenPCR, and will have some exciting software improvements coming soon. Say tuned! Note that while individual orders will now be fulfilled in 1-2 days, distributors placing bulk orders will continue to receive 4 week shipping quotes, until supply can be built up a bit further. This entry was posted in Other on June 27, 2012 by Josh Perfetto. This entry was posted in Other on June 14, 2012 by Josh Perfetto. Hi all, I’m not sure what you all are up to on a Friday night. But I’m watching twitter, thinking about OpenPCR, and lo and behold, Eri’s talk from the Open Science Conference (OSCON) flew by. It’s great, and I recommend you check it out, and OpenPCR makes a live appearance. Video below! Join Eri Gentry, founder of BioCurious, the world’s first “hackerspace for biology” on a journey from garage biology to community lab. For the first time, serious biological research can be done at home. With the decreasing costs of biotech equipment came a growing community of amateur biologists. The most common name for this group is “DIYbio” (Do-It-Yourself biology), a 2,000 plus group of scientists, students, engineers, artists and entpreneurs, whose interests range from wanting to learn how genetic testing works to wanting to completely overhaul the ivory tower that is scientific research. 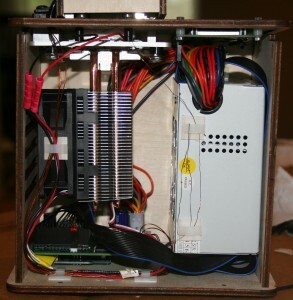 Also, Paul + friends at the Melbourne Hackerspace in Australia are assembling 1 or 2 OpenPCR kits as you read this. Paul mentioned a UStream/Google+ discussion, so stay tuned! Check out Twitter (https://twitter.com/#!/search/openpcr) and discuss on the OpenPCR Google Group. This entry was posted in Awesome biotech on July 29, 2011 by tito. Hi all, It’s a delight to see OpenPCR on so many desktops! Josh and I spent the past year staring at mostly-disassembled prototypes with wires all over the place. It makes it all worth it to see everyone assembling their kits, posting pictures, and having a blast doing it. At the end of the post there’s several pictures that I thought you would enjoy of OpenPCR around the world! A high school in Hawaii is testing for genetically modified foods, with plans to upgrade to identifying and tracking non-native species. Over the past year we’ve designed, engineered, and shipped our first product. We are now seeking seed funding to take our company to the next level (and build some new awesome stuff). If you know someone who would be interested in investing in OpenPCR, we would love an introduction! Email me (tito@openpcr.org) or send your friends to AngelList (https://angel.co/openpcr). Also, we’ve raised the price of OpenPCR from $512 to $599. This allows us to get OpenPCR out to distributors around the world — if you’ve got a shop, give us a holler (contact@openpcr.org). This entry was posted in Goals, Testing on July 26, 2011 by tito. The eagerly awaited OpenPCR kit is now shipping! UPS picked up the first batch of kits and OpenPCRs are on their way to users in 5 continents and 13 countries around the world. For $512, every OpenPCR kit includes all the parts, tools, and beautiful printed instructions – you ONLY need a set of screwdrivers. A PCR machine is basically a copy machine for DNA. It is essential for most work with DNA, things like exposing fraud at a sushi restaurant, diagnosing diseases including HIV and H1N1, or exploring your own genome. The guy who discovered the PCR process earned a Nobel Prize in 1993, and OpenPCR is now the first open source PCR machine. 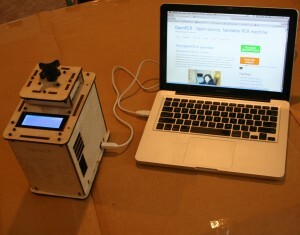 The price of a traditional PCR machine is around $3,000. So, do people in garages have great PCR machines? Not really. Howabout high school or middle school teachers? Nope. Howabout smaller medical testing labs or labs in India or China? Nope. Even some big bio labs try their luck on eBay. We set out to change that. Josh and I prototyped OpenPCR over about 4 months — it was a lot of fun. 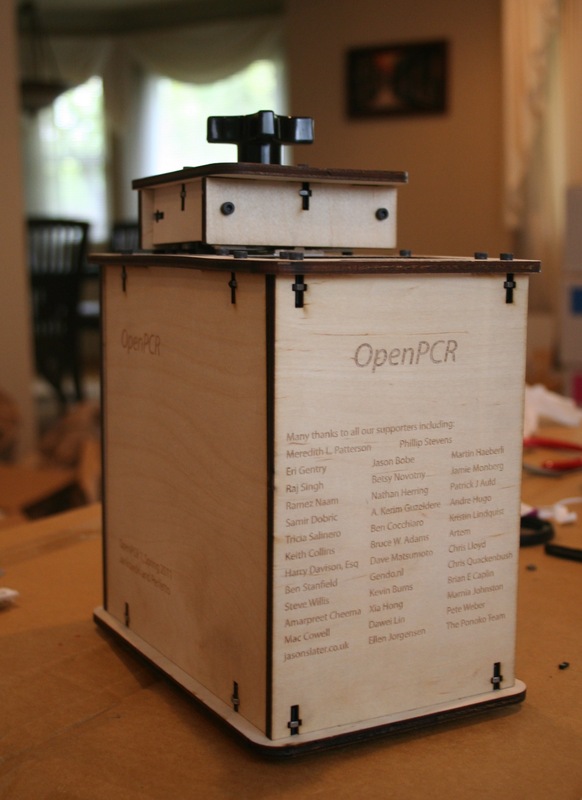 Last May we unveiled the first OpenPCR prototype to all a bunch of crazy people on Kickstarter, 158 people gave us a total of $12,121. With that we designed and manufactured a repeatable, works-all-the-time device — it took a lot of hard work. Now we’re done and ready to share! We get a lot of people who come up to us and say “jumping jillikers, batman! we paid $10,000 for ours and it’s this big (make refrigerator-sized hand motion)!”. While modern PCR machines aren’t fridge sized anymore, we’re proud to say that OpenPCR is the most affordable and most compact PCR machine out there. This is a big deal for you Arduino hackers out there. 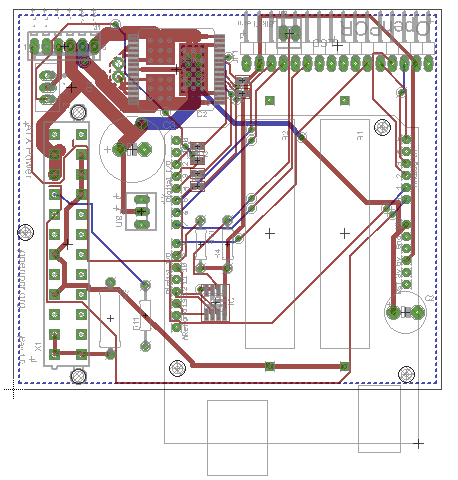 A normal Arduino can only talk back and forth over a serial port. This is a pain to set up, and we wanted OpenPCR to just plug-in and go. How does it work? 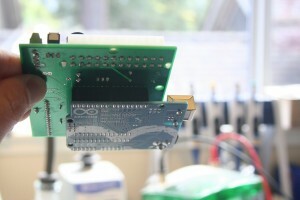 When OpenPCR is plugged in, the Arduino mounts itself as a USB drive called “OpenPCR”. The computer passes love notes to OpenPCR by writing to that file, and Arduino sends love notes back by writing to another file. The implementation was tough, and there are size restrictions due to the size of the chips used by Arduino, but it’s pretty simple to make use of. We also built a cross-platform app for your Mac or PC in Adobe Air so that the we could have a simple computer control interface. 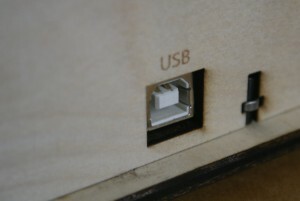 Simply plug in your OpenPCR to your computer with USB. No setup besides downloading the OpenPCR app! (Josh and Xia totally pulled off a miracle on this!) If you’ve got questions on this specifically, be sure to post below! The clear vision of OpenPCR that made it great was driven by 2 things. 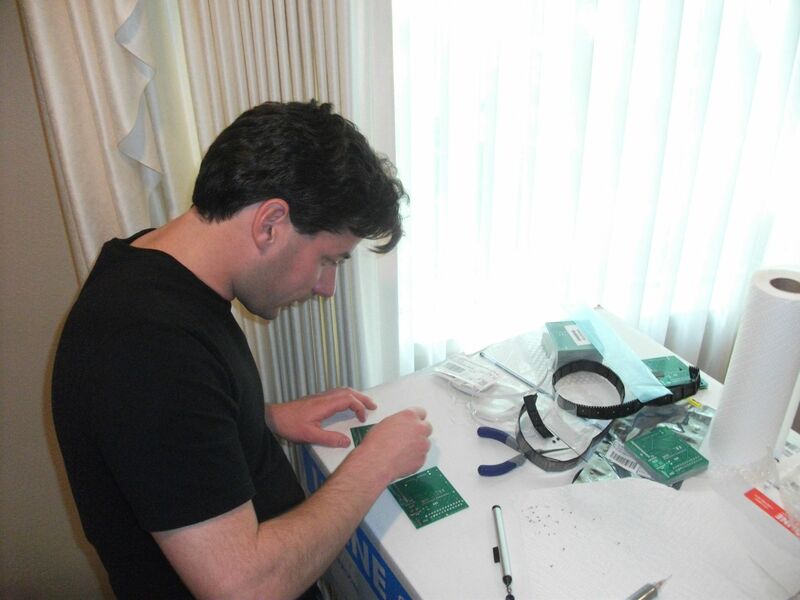 First off, Josh is an incredible engineer and we both enjoyed learning a lot of new things over the past year — everything from how to make circuit boards, machine metal parts, laser cutting, Arduino hacking, USB hacking. I’d say 90% of the success of OpenPCR was lots of hard work. Hard work is great but there are lots of projects where hard work is put in but never “pays off”. How did we stay on course? 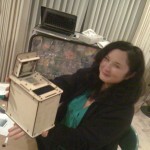 I think the prototype + showing it off on Kickstarter/Maker Faire had a lot to do with it. We of course had lots of exciting ideas about new functionality and extra things over the past year. The beauty of having built our prototype was we knew if we could just get to that point we would have a hit. 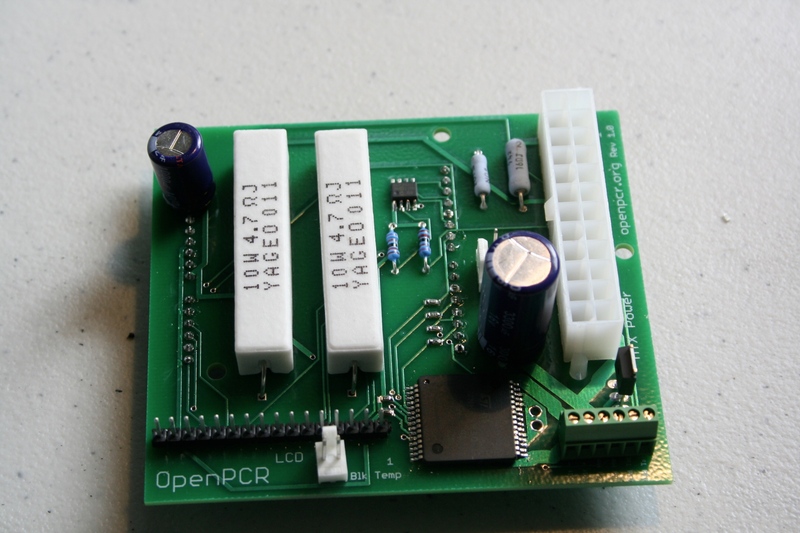 For example, we designed OpenPCR to be assembled by hand. The printed Build Instructions are a big part of OpenPCR and we did a lot of work to get them right. As we finalized the OpenPCR design a few steps stood out as “hard”. We switched from thermal paste to thermal pads (not messy, no need for gloves), assembled circuit boards (no need for a pro soldering setup), and pre-epoxied the thermistor. The OpenPCR kit is easy to build because of those decisions. We’ve still got to publish the gel pictures showing how great OpenPCR works, but that’s been well tested ourselves. If you’ve got an OpenPCR kit coming your way and would like to post pictures of a gel run afterwards, we would love to see your results too! The intent of the prototype was simple – we wanted a PCR machine for people like us. That meant a 16 well PCR machine controlled by computer, with a built in screen, good for the lab bench or a workshop/garage. And that’s exactly what OpenPCR is. After Kickstarter started in May, we worked for going on 14 months now. Between Josh and I, I estimate we put about 3,000 hours into OpenPCR, not counting the time leading up to the prototype. We’ve got 57 posts and 600+ comments on the OpenPCR blog, covering a lot of aspects of OpenPCR development. In the past few months we’ve kept our heads down getting everything out the door and we’ve got some stories to share. Short answer is, there’s a lot of blogging to catch up on. Special thanks to Xia Hong, Eri Gentry, and Will Reinhardt who volunteered lots of their time to help OpenPCR. OpenPCR is designed for labs, classrooms, and garages. Tell your science-y friends about OpenPCR, “Like” us on Facebook, or write us and tell us that you stopped by! You can also get your own OpenPCR kit! Do you want to see us develop more breakthrough biotechnology? Along this journey we uncovered a lot of opportunities for PCR and other biological devices. We’re a new company and would love to meet other passionate people. Our hurdles right now are manufacturing (mechanical engineers! ), distribution (sales + marketers! ), and new hardware (hackers! )/software (hackers! )/bioware (biologists!) + industrial design. If you’re in the Bay Area and want to get in on making all this crazy DNA stuff useful to regular people, send us an email: contact@openpcr.org. For more information, we’ve gotten a lot of media attention over the past year including NYTimes, GQ France, Biotechniques, and USA Today. Ordered a kit and wondering where it is? We have shipped a first batch of kits and emailed out tracking numbers to the recipients. If your kit hasn’t shipped yet, we’re working on shipping a second batch and will keep you updated. This entry was posted in Goals, Top Posts on July 6, 2011 by tito. 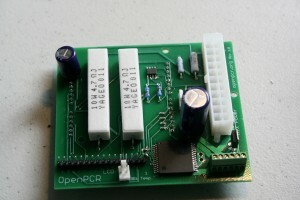 OpenPCR first came to life last February, and we showed off our first prototype at Maker Faire last May. Those of you following the blog know we designed, refined, and engineered our hearts out. Today, Josh and I are pleased to make the first version of the OpenPCR design docs public. Whether you’re a hardware junkie, circuit board lover, or code addict, we’ve got you covered! This entry was posted in Other on May 23, 2011 by tito. 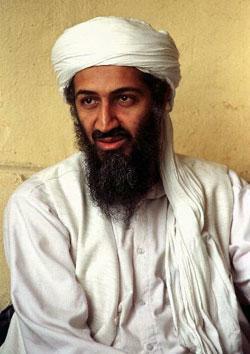 The US military used DNA to identify Osama Bin Laden very quickly after he was killed. How? Although we don’t have intimate knowledge of Osama’s DNA identification, here’s one way that OpenPCR could potentially be used in a similar situation. This entry was posted in Other on May 3, 2011 by tito. As we didn’t want to wait for professional PCB assembly, we assembled the first batch of 35 OpenPCR boards ourselves. It took some time but came out decently. The biggest difficulty was soldering the H-Bridge IC, which has three large power connections on the bottom of the package, plus fine pins all around it. We managed that by effectively doing reflow soldering with solder paste and a toaster oven, and then soldering the through-hole components afterwards. As much fun as that was, I’ll let a pick and place robot do it next time. I’ve been looking at Screaming Circuits for PCB assembly in the ~100 unit range, though please feel free to suggest any other companies in the comments. This entry was posted in Other on April 14, 2011 by Josh Perfetto. Many thanks to Eri Gentry and Will Reinhardt for helping pack the first batch of OpenPCR kits. We counted, double counted, bagged, and labeled thousands of parts, everything from the shoulder bolts in OpenPCR’s heated lid, laser cut cases from Ponoko, and individual screws and nuts. This entry was posted in Buying + Sourcing on April 11, 2011 by tito.